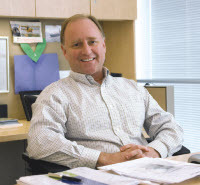 Future CEO Thomas B. Crowley Sr. joined the company with his first job at 17. He quickly learned the value of hard work as he spent the summer of 1931 at the dry dock of Crowley Shipyard scraping barnacles off hulls and applying paint. 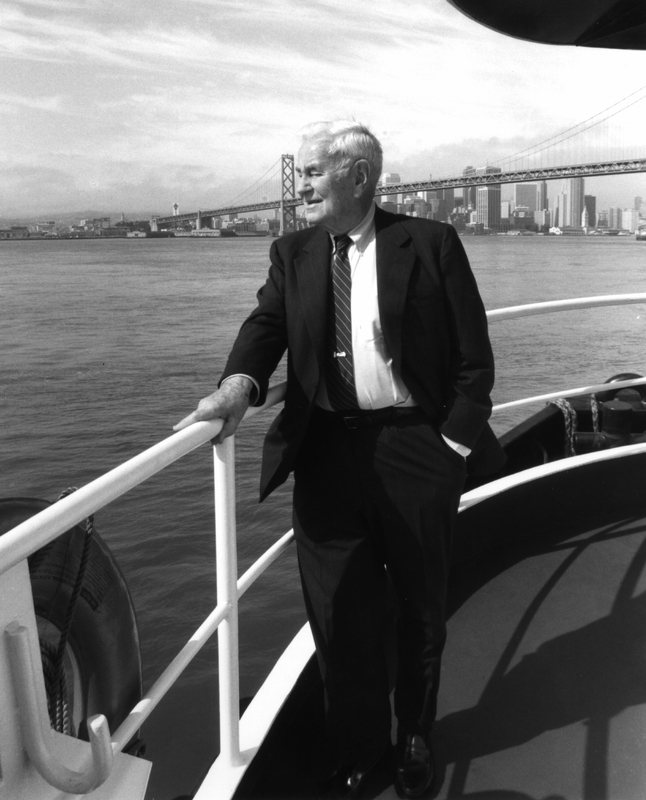 The next summer, he worked at Pier 17 in San Francisco, checking freight and preparing documentation for Pioneer Line, Crowley’s newly created Bay Area freight transportation division. In 1934, as the Great Depression was hitting America, Tom Crowley vowed to stay in business. To do so, he acquired a fleet of tugboats in San Pedro, Calif., that needed to be converted from steam to diesel. Over the next few years, Crowley repowered five tugs with direct reversible diesel engines and renamed them Crowley No. 24 through 29. 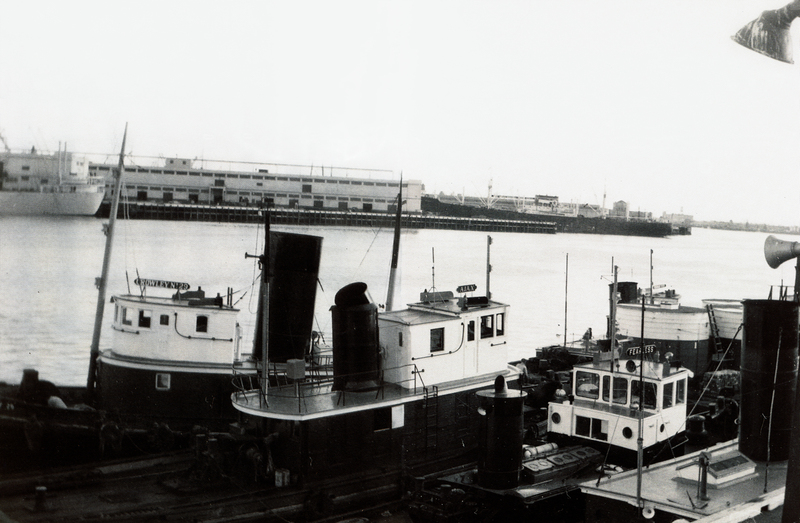 The tugs remained in service and competitive through the 1940s until government war-surplus vessels became available and brought the next stage of fleet upgrading. 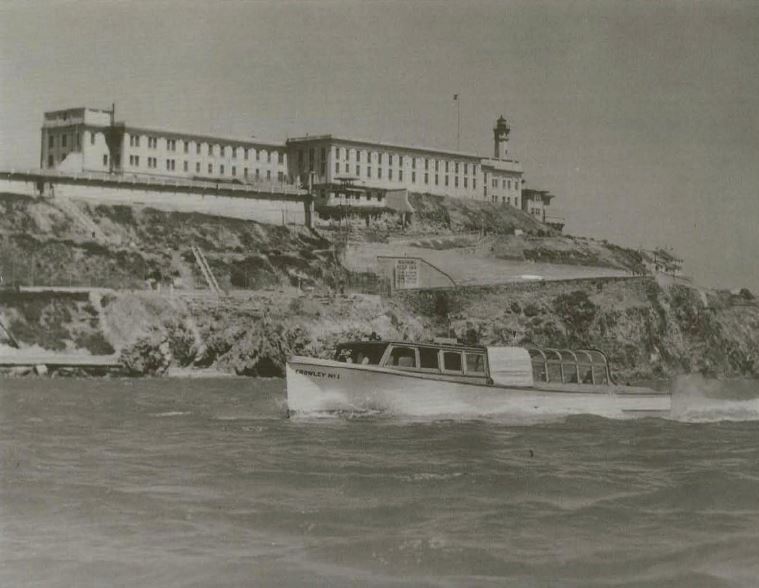 During the Golden Gate International Exposition celebration in 1939, two years after the opening of the Golden Gate Bridge, Crowley operated speedboat and cruise rides out to the new landmark. In preparation to serve many of the more than 17 million people who would attend the World’s Fair, the company refurbished its two double-deck passenger boats, Crowley No. 17 and Crowley No. 18; bought four Chris-Craft speedboats; and built two glass-enclosed water taxis, named Crowley No. I and Crowley No. 2. As the longest suspension bridge main span in the world at the time (4,200 feet), the Golden Gate Bridge was, and remains, one of the most iconic structures in San Francisco and the world. 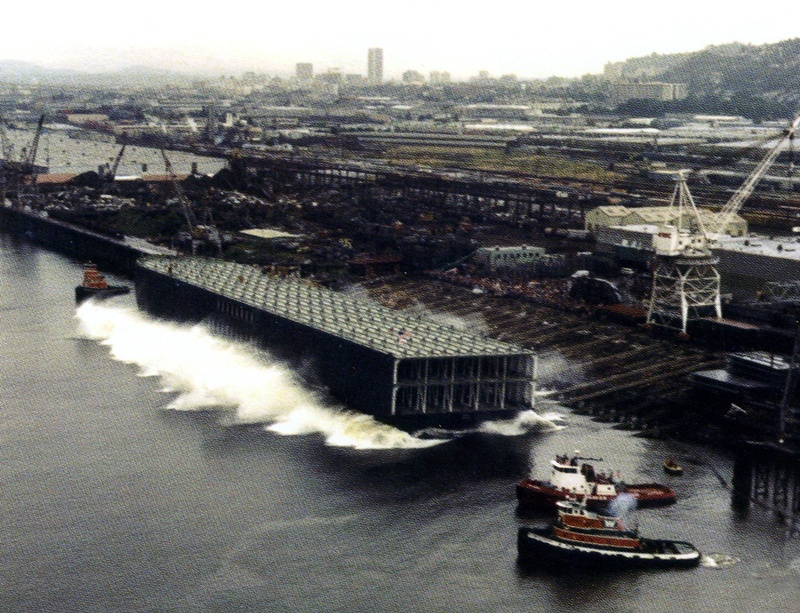 In 1978 we launched La Reina, the world’s largest triple-deck Roll-On/Roll-Off (Ro/Ro) barge at the time to transport cargo between the U.S. Mainland and Puerto Rico. Setting the standard for trade with the island, the vessel earned a spot in the 1980 Guinness Book of World records for its size. Later, the company introduced even larger Ro/Ro barges, helping to cement our commitment to dependable, innovative service that continues today with the construction of two, new LNG-powered ConRo ships. 10 years ago, Crowley christened the first of nine newly-built, heavy-deck-strength, 455 series barges, the Marty J, named in honor of former Crowley employee Marty Johnson, who passed away while on company assignment. 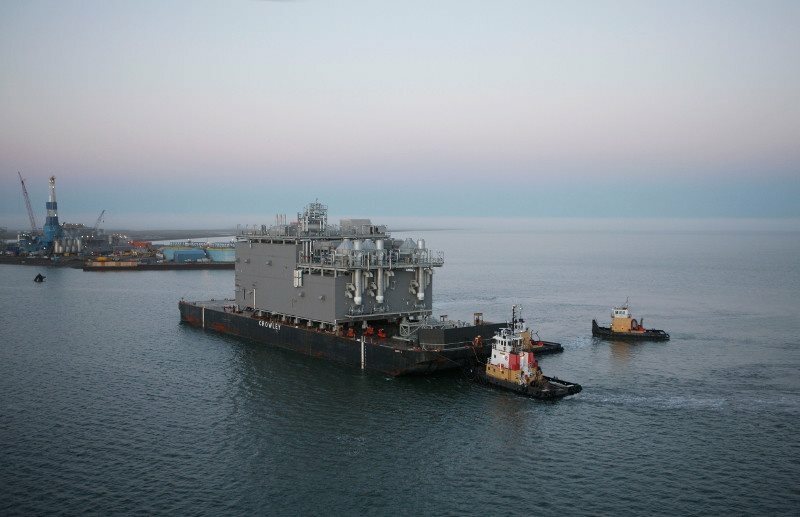 The 400-foot long by 105 foot wide barges provide both the capacity and deck strength needed to accommodate larger drilling and production units used for deepwater offshore energy exploration and development. Photo: In 2010, Marty J, alongside sister barge 455-3 (not shown), transported energy modules and components more than 8,000 miles from Louisiana to Alaska. The load weighed nearly 4,000 tons and supported Eni’s development of the Nikaitchuq oil field.